Snowden convicted for possession of marijuana. Today, Carl O. Snowden was convicted of possession of marijuana in Baltimore City. 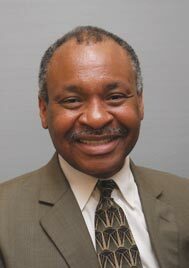 Snowden is a long-time civil rights activist and currently serves as Chairman of the Housing Authority for the City of Annapolis. Snowden was sentenced to 60 days in jail with all 60 suspended. Additionally, he must serve a year’s probation which will include drug and alcohol monitoring. If Snowden successfully completes the probation, Judge Michael Reed has agreed to convert the sentence into a Probation Before Judgement (PBJ) which essentially would remove the convition from Snowden’s record. Typically, a PBJ is is issued before judgement–hence the “B”. Why would this judge allow it to be implemented after? The answer, unfortunately, appears to be political. Carl Snowden has already received 3 PBJs in the past decade and a new Maryland law states that no one can have more than 2 in 10 years. Last year, Snowden was charged with DUI and was issued a his 3rd PBJ mistakenly. The ruling waas overturned and Snowden has appealed the overturning. Depending on the outcome of that appeal, Snowden may have 2 or 3 PBJ judgements against him in under a decade. However, if the appeal is successful, his first PBJ will roll off the record books one month before the completion of the probation for this current sentence. Did Judge Reed give Snowden a PBJ specifically to avert the 10 year/2 PBJ law? Reed was questioned on his impartiality prior to hearing the case. Reed could very likely be biased as he had professional relationships both with Snowden and Snowden’s attorney. In an interview with the Annapolis Patch, Annapolis Mayo, Josh Cohen, said he stands behind Carl Snowden and will not be calling for him to step aside from the Housing Authority of Annapolis (HACA). It should be noted that residents of HACA units are evicted if convicted of a crime. Why does this policy not apply to Mr. Snowden who, by all rights, should be setting an example for the people who live in the housing units? Cohen also stated that Snowden has done a great deal to improve the perception that HACA is a transitional program and not a generational one. If Snowden has worked on that, he needs to work harder. Just last week, the City celebrated the renaming of a street for a family who has lived in public housing for more than seventy years! Most definitely, this is Cohen’s “heck of a job Brownie” moment. In 1940, when College Creek Terrace first opened, Reid and Beatrice Abney and their children were the first family to move into the development. On Wednesday, the City of Annapolis will honor the Abney family during the renaming of Bates Street to Abney Lane. Cynthia Carter, current Vice Chairman of HACA, is the daughter of Reid and Beatrice Abney and will be attending the grand opening in honor of her parents. It is our understanding that members of the Abney-Carter family still are living in HACA properties. But this support from the Mayor might be politically motivated as well since there is an election looming in 2013. Snowden is an important figure in the local political scene and can be counted on to deliver minority votes. With Alderman Fred Paone amassing a $20,000-plus war chest to (presumably) challenge Cohen in 2013, it makes sense that Cohen will want Snowden on his side. Also, with Attorney General Doug Gansler mounting a gubernatorial campaign, it makes sense that he will want Snowden on his side as well. Snowden was hired (and currently is on leave to handle a lawsuit against John Leopold) as a Civil Rights Director for the Attorney General. Snowden has a long history of bad decisions and brushes with the law. Because of his various patronage positions, he has become relatively exempt from any type of punishment or accountability. For most people, if they were convicted of drunk driving three times, they would be in jail. Now, Snowden has a possession of marijuana conviction to add to his resume and the Mayor lauds him, and the Attorney General remains silent. Snowden chairs an organization that bans people with drug convictions. Under Snowden’s “leadership” City Alderman Kenneth Kirby was allowed to live in a HACA property illegally. We are certainly setting a good example for legitimate residents of HACA when our lawmakers are living there illegally and the Chairman of the organization has made a career of bad decisions and evading any punishment. Both Gansler and Cohen should call for the immediate resignation of Carl Snowden. HACA is troubled. Crime is increasing and Snowden is not the right person to lead the change and with the election coming up, it might be interesting to see how well the candidates fare in getting votes on their own–not by having them handed to them by Carl Snowden.